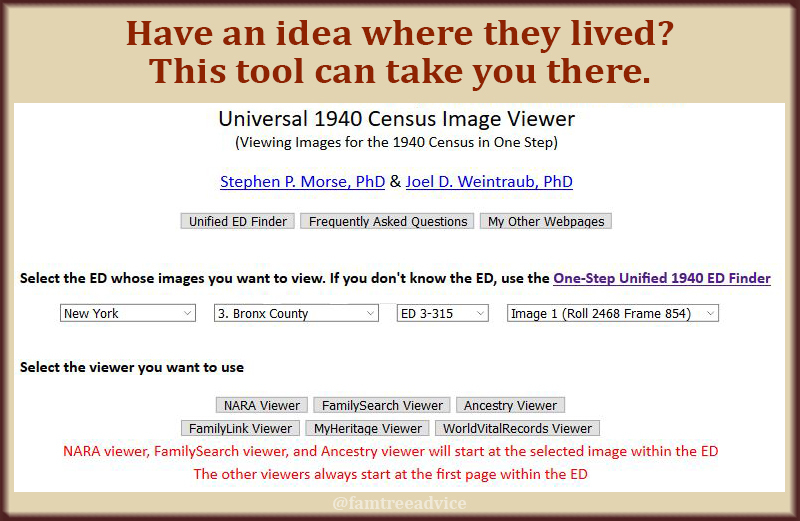 When a search doesn't find your relative in the census, there is a tool that can help. It's been 7 years since they released the 1940 United States Federal Census. And I still can't find a handful of my relatives. I've tried searching for them a bunch of ways. No luck! 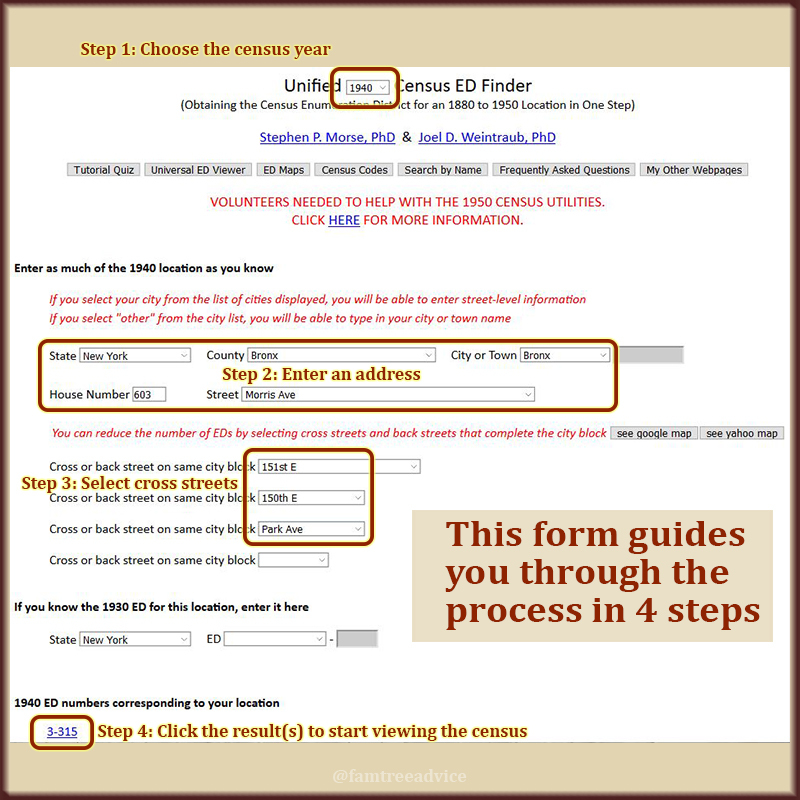 Locate the group of census pages you need. If only I could go page-by-page through what I think was their neighborhood. Luckily, there's a tool to help us do that. Computer professional Stephen P. Morse decided to make genealogy searches easier. His collection of tools focuses on the census (U.S., Canada, and U.K.), ship manifests, DNA, and more. 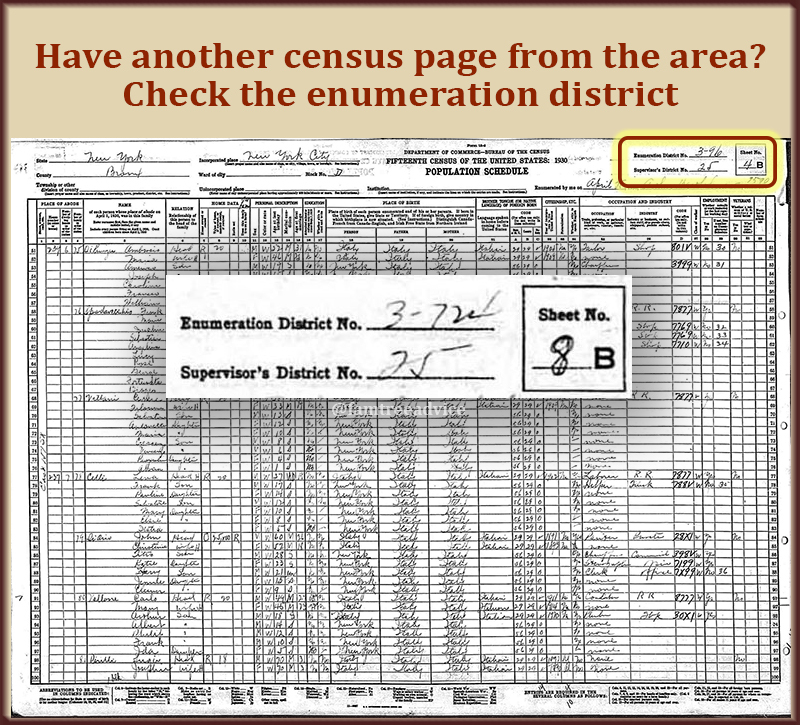 His Unified Census ED (Enumeration District) Finder helps you find the census pages for a particular address. 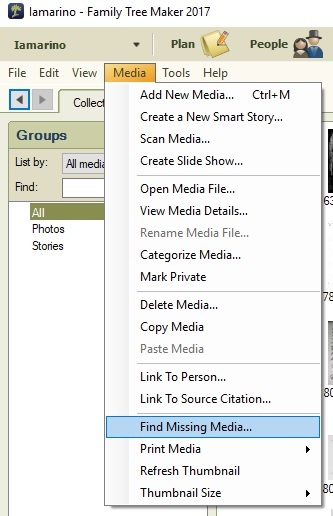 Then you can start paging through the collection. Let's walk through an example. My great aunt Edie married in 1936, but I've never found her in the 1940 census. Her marriage certificate says she and her husband-to-be lived 2½ blocks apart in the Bronx, New York. When I was a little girl, they lived next door to my grandmother. That building is between both of their 1936 addresses. I'll start my search there. 4 steps to narrow down your search for the right census page. In the Stephen Morse tool I can enter a street address and it's smart enough to offer me the short list of cross streets. I can click a link to open Google Maps to that address to see which streets are near this address. Since this is a city address, I can enter several cross streets. I have the option of entering the 1930 enumeration district for this address if I have it (which I do). 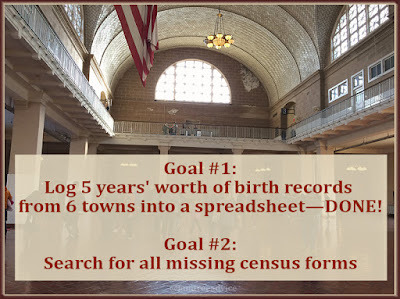 But we're already narrowed down to a single enumeration district as a result. 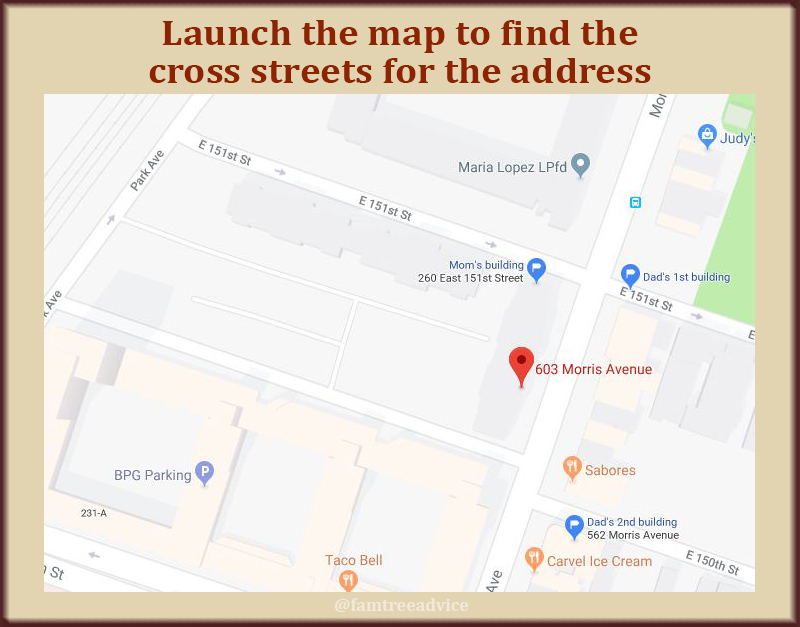 Click a button to find an address on the map and see its cross streets. 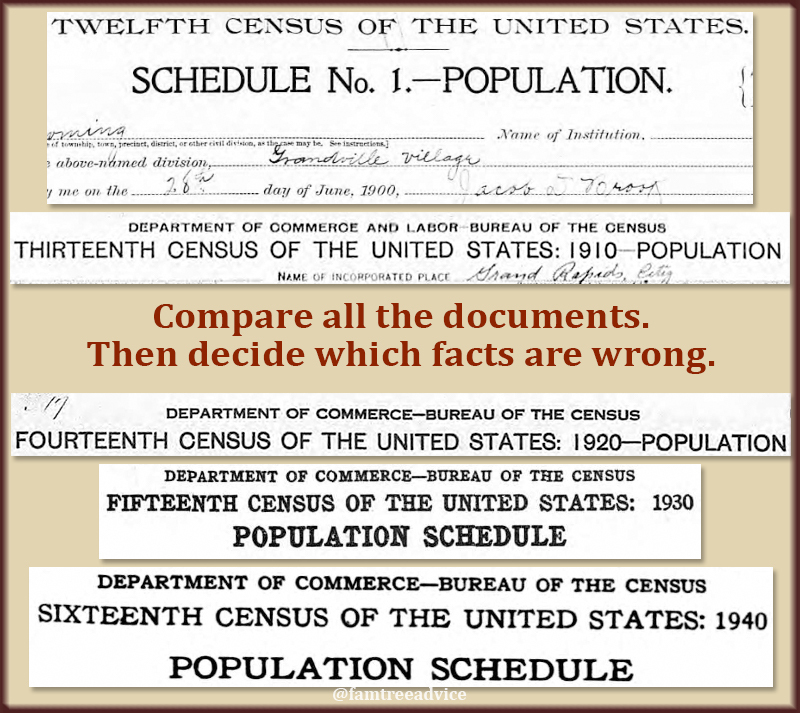 on a U.S. Federal census sheet. 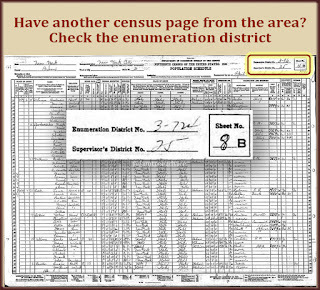 To find the enumeration district for an address, look at the top right corner of any Federal census sheet. You should see the supervisor's district and the enumeration district numbers. 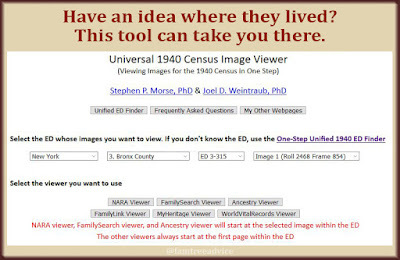 Click the result link, then choose where you want to view the census pages. I'll go with Ancestry.com. In this case, my neighborhood of interest is part of a 26-page collection. 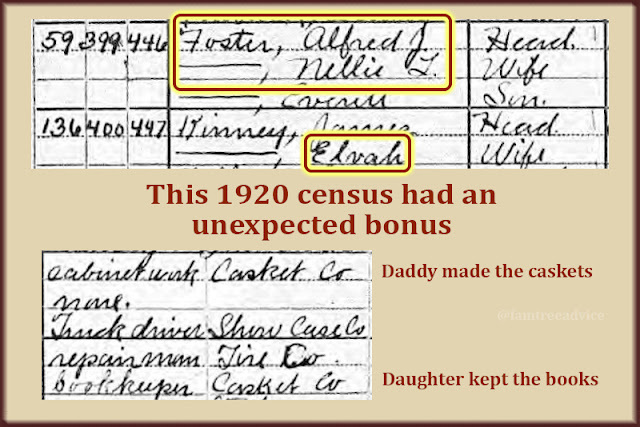 I can focus on the names—particularly on the first names—and try to find my great aunt, her husband, and her daughter. 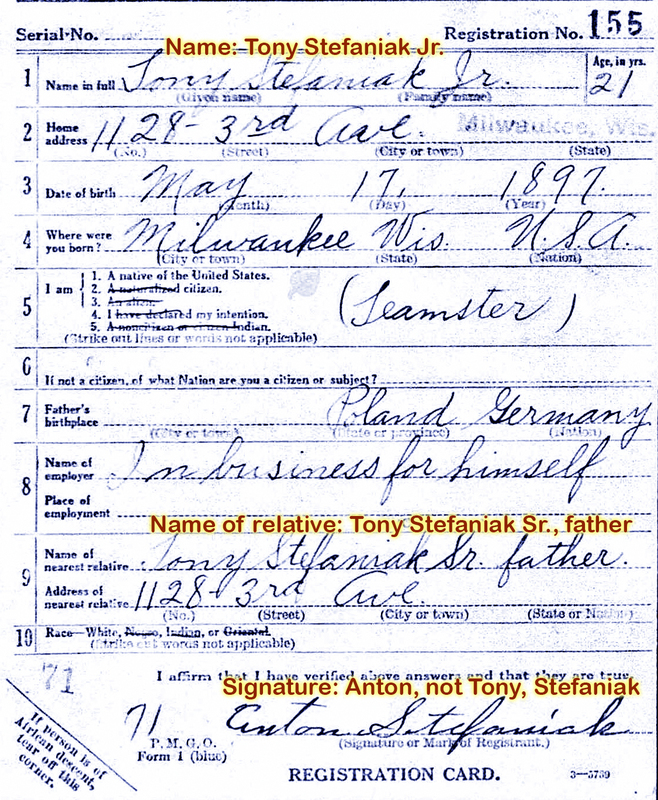 I found a military record that makes me think my great uncle was away from home in 1940. I'll concentrate on my great aunt and her daughter's first names. And I'll keep in mind that my great aunt went by at least 4 variations of her first name. I've gone through these 26 pages a few times without finding my great aunt Edie. My grandparents, my great grandparents, and some cousins are in these 26 pages. But not the great aunt I'm looking for! 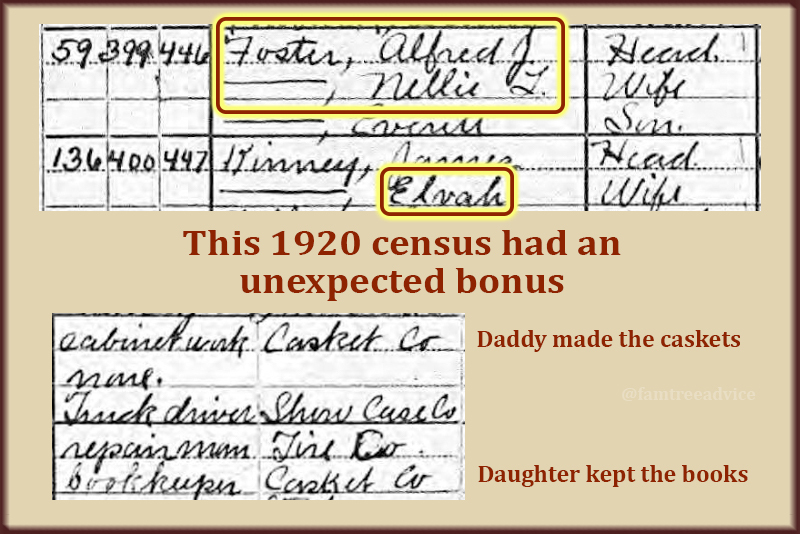 My great aunt's mother-in-law lived about a block away, but she was part of a different set of census pages. 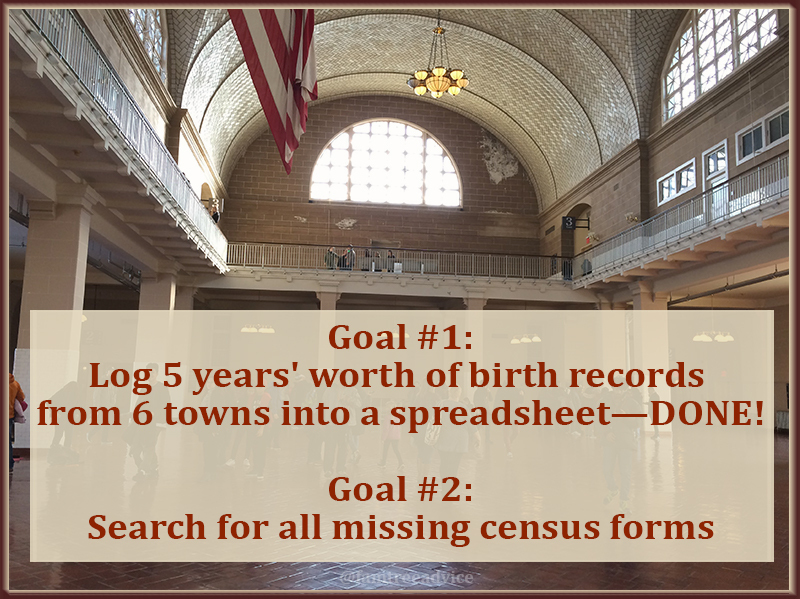 The Stephen Morse tool narrows down my search to 2 enumeration districts. One has 43 pages; the other has 32. Side-note: I have so many relatives who lived in the Bronx, I'm seeing lots of familiar names on these pages. It helps to keep your family tree open to see if you need the page where you've found another relative. I'm sorry to say I struck out and did not find my great aunt. But I found lots of people I know, like my Uncle Silvio as a little boy. I even found the guy my mom was once engaged to! This is a good method that's worth trying. 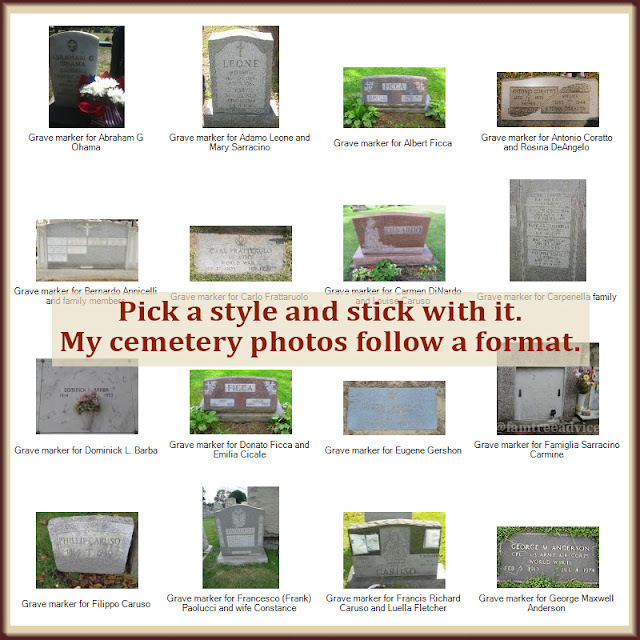 I'm going to pick another missing relative and try again. Mixed in with my relatives in the 1930 census I have a mystery family. I've been gathering evidence, but I still don't know who they are. How is Patsy Ferro my great uncle's nephew? The more pieces I find, the closer I get to solving this mystery. That's why I created a timeline of found facts. 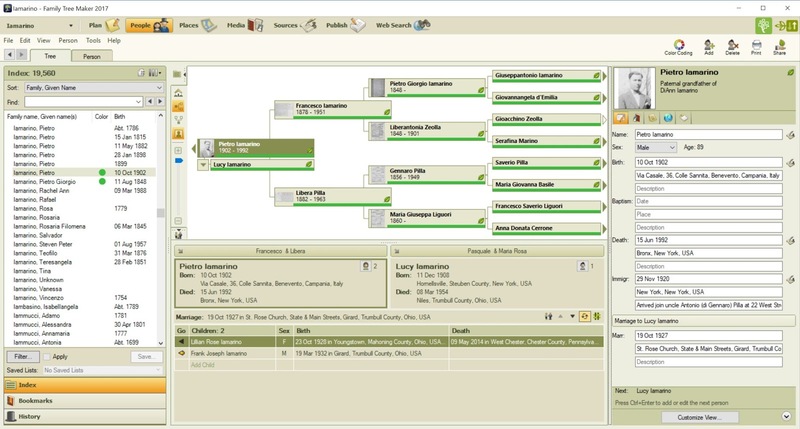 You can use this process to help solve your own family tree mysteries. Patsy (a nickname for Pasquale) Ferro, age 29, married for 10 years, born in Italy, a building contractor. He is listed as Semplicio's nephew. Josephine Ferro, age 26, born in Italy. She is listed as Semplicio's niece. Antonette Ferro, age 6, born in Italy. She is listed as Semplicio's grand-niece. If Patsy was really Semplicio's nephew, then either his sister or his wife's sister should have married a man named Ferro. But they didn't. I found five more documents for the Ferro family. 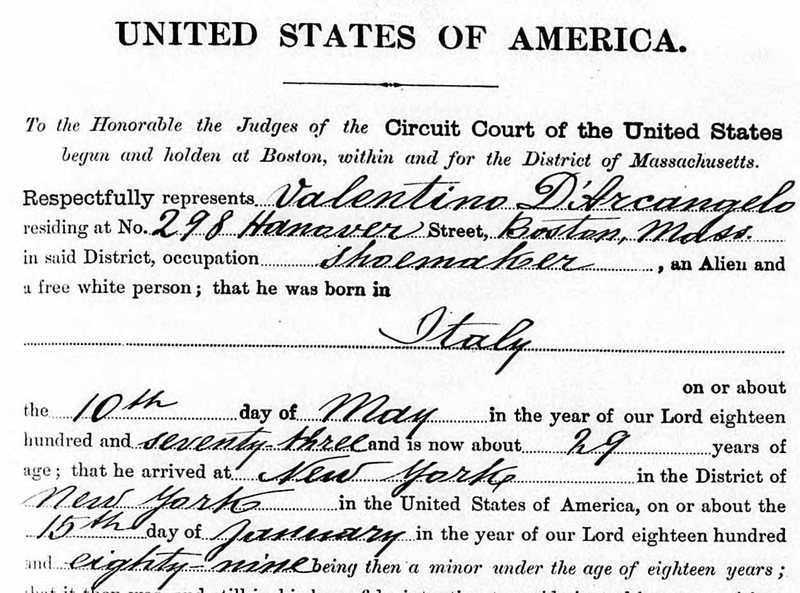 On 12 November 1923, Pasquale Ferro arrived in Boston. He was from Baselice, Italy, which happens to be the hometown of my grandfather, Adamo Leone. 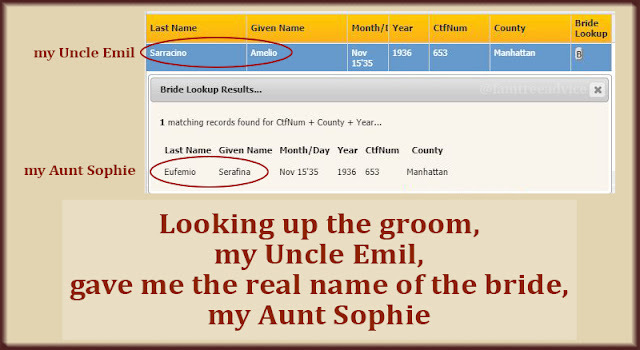 Since my grandmother was Semplicio's niece, is Adamo Leone the relative of Pasquale Ferro? Pasquale states that he is joining his cousin Leonardo Canonico at 260 East 151st Street in the Bronx. Well, now. Isn't that a coincidence? That is where my newlywed grandparents lived. The building had only three or four apartments, and all but one belonged to my closest relatives. I recognize the name Canonico as a common name from Baselice, Italy, too. 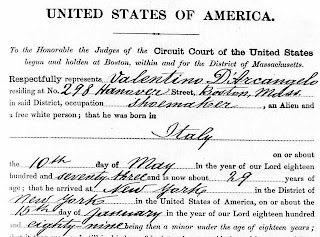 The ship manifest originally stated that Pasquale Ferro was leaving "nobody" behind in Italy. That was crossed out and "wife Gusolo" was typed in. I'll come back to that name in a moment. 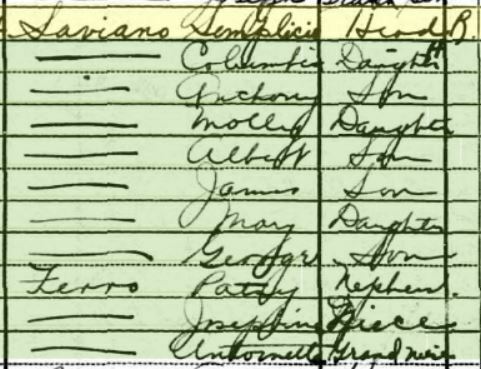 On 1 June 1925 there is a Pasquale Ferro, carpenter, boarding with a family named Ria at 310 East 153rd Street in the Bronx. This is only a couple of blocks away from his 1923 location. It says Pasquale has been in the U.S. for two years. I'm not entirely sure this is the Pasquale Ferro I'm looking for. Pasquale Ferro returns to the USA with his family. On 10 January 1930, Pasquale Ferro arrives in New York City with his wife and daughter. He is a U.S. citizen with a passport issued on 12 July 1929. He lives in my grandparents' building at 260 East 151st Street in the Bronx. His wife's name is Giuseppina (Josephine, in English) Chiusato. I've done extensive documentation of birth, marriage and death records from the town of Baselice, Italy. Chiusato is not a name I've seen in the town. But Chiusolo is a common name there. "Chiusato" was typewritten on the ship manifest. My educated guess is that "Chiusato" and the "Gusolo" typewritten on Pasquale's 1923 ship manifest were both meant to be Chiusolo. This is a tidbit I would have overlooked if I hadn't gathered these documents together. Also on the ship in 1930 is Pasquale and Giuseppina's daughter Antonetta. She is six years old, just as she was on the 1930 census where I found her the first time. Patsy was naturalized in 1923. But since he arrived in the U.S. in November 1923, this seems like a mistake. The family was living at 1010 Van Nest Avenue in the Bronx. Now Pasquale and his family are living with several of Semplicio Saviano's grown children at 1010 Van Nest Avenue in the Bronx. Pasquale is 40 years old and not working. He is listed as the cousin of Anthony Saviano, who is the head of household. Pasquale and his daughter Antonette are naturalized, but his wife is still an alien. Pasquale Ferro traveled alone to Italy in 1950 and planned to stay for three months. The manifest states that his passport was issued on 28 June 1929. 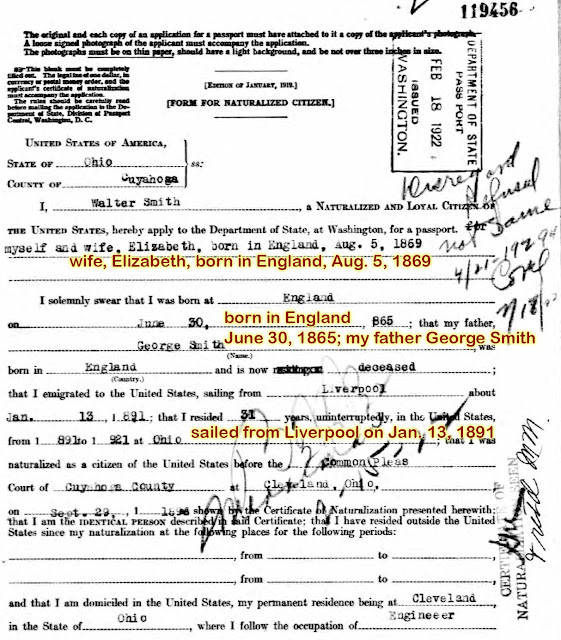 This is not an exact match of the date on his 1930 ship manifest, but I know this is the same man. His home address is 980 Van Nest Avenue in the Bronx. At the time of her 1947 death, Semplicio Saviano's daughter Columba lived at this same address. Taken altogether, these six documents tell me a lot about Pasquale Ferro. But they don't tell me how he's related to me. I found two Social Security records for Pasquale's wife, Josephine. These records provide her birth date in Baselice. But I've downloaded the 1904 Baselice birth records to my computer, and she is not there. I have her parents' names, too, so I will work with those and see where it gets me. The trail goes completely cold on the young girl, Antonette Ferro. There is one more document that I viewed on my iPad the other day, but can't seem to find again. It was a New York City deed or mortgage that included Pasquale Ferro. I don't remember what other name was on this document, or who I was searching for at the time. 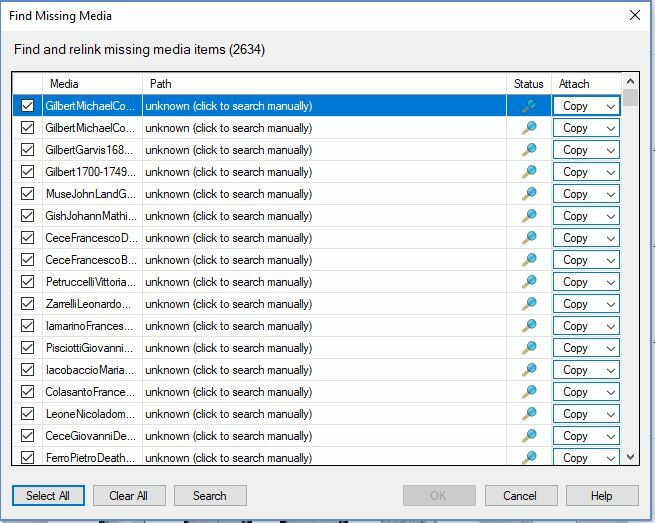 I viewed every page in my browser history without finding it. That one missing document may be a big piece of this puzzle. Or it may be a different Pasquale Ferro. One thing is certain: You've got to take notes on your searches. The very next thing you find may be the answer to your mystery. But you'll need those notes so you can be sure.